The Design Show UNIST 2017, held in the lobby of Engineering Bldg. II at UNIST on December 12, 2017. Showcasing the work of graduating students set to shape the future of design and architecture. The annual design exhibition, entitled Design Show UNIST 2017, has opened this afternoon, featuring 30 arts and engineering projects created by imminently graduating undergraduate and graduate students. 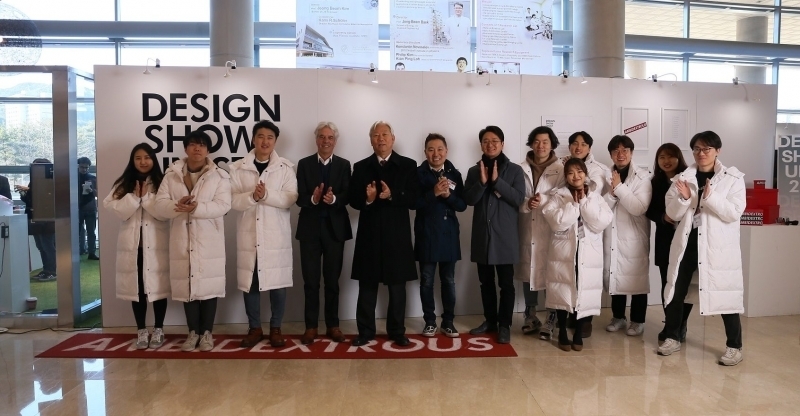 The theme of this year’s design exhibition is Ambidextrous, which comes from an English word meaning “An ability to use both hands with equal ease or dexterity”. There is the symbolic significance in this word that both hands of design and engineering are combined. This also has very important significance to the School of Design and Human Engineering (DHE) at UNIST, as it is the basis of the idea that DHE has been pursuing. That is to cultivate designers who can implement the convergence of design thinking and engineering. A notable entry work by undergraduate students is Maze Cube by JiHyun Yang in the School of Design and Human Engineering. 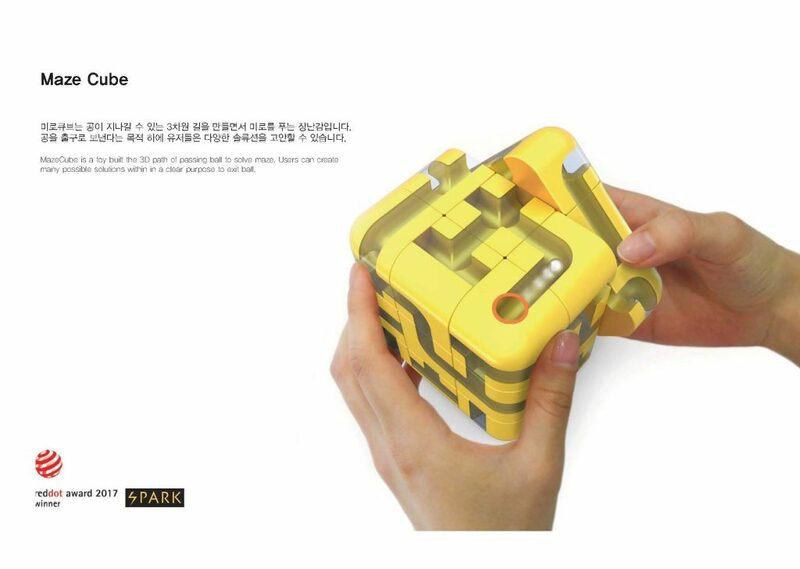 MazeCube is a toy built the 3D path of passing ball to solve maze. Users can create many possible solutions within a clear purpose to exit ball. It has won numorous awards from some of world’s leading design competitions, such as Red Dot Award and Spark Design Award. Among the graduate school entries, Milluet by Han Kyung-jun in the Graduate School of Design-Engineering Convergence, stands out from the others. 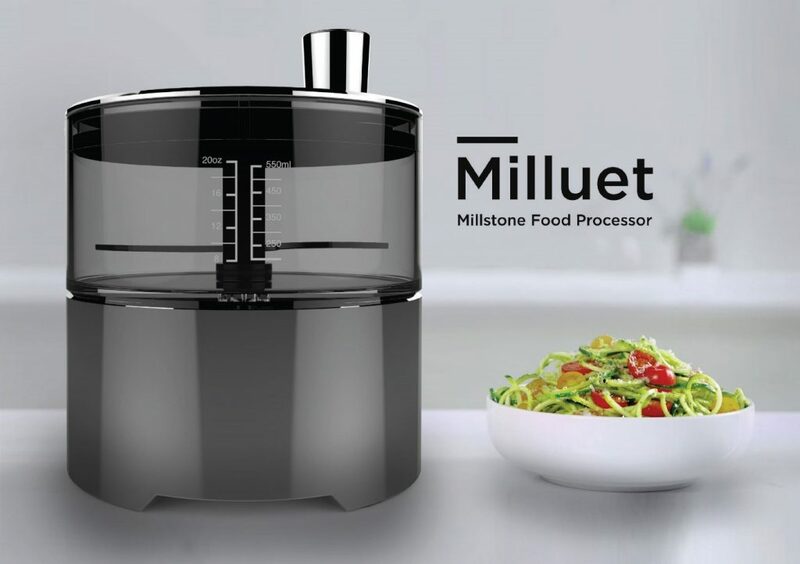 Milluet is a food processor, inspired by a millstone. It combines the past millstone form metaphor and the contemporary blender driven interaction. Milluet is based on the research where user experience that follow familiar principles help users adopt products and concepts more quickly. 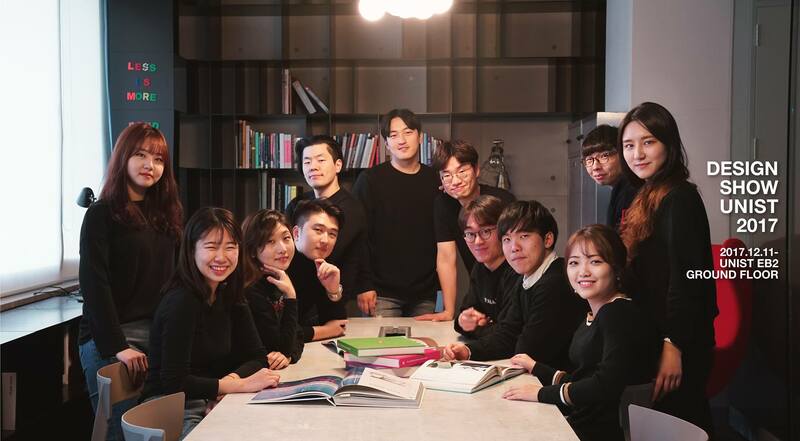 “Compared to other design schools, we have strengths in the ability to create engineering-driven ideas,” says Jeong Hyeon Bae in the School of Design and Human Engineering, a representative of Design Exhibition 2017.